This is my seventh Literary Sofa selection of new/forthcoming releases and I am as excited as ever to share my choices with you. I can’t recommend a novel I haven’t read, so to arrive at the final 13 I considered dozens, enjoying many from cover to cover. These made the cut because I think they’re all highly compelling, well-written and excellent in their own way. There’s plenty of variety and a balance of genres, themes and settings to appeal to a wide range of tastes. You’ll find family sagas [4, 5], love stories [2, 5, 10], psychological thriller/steamy domestic noir [6, 11], historical crime , dystopia , coming of age [8, 9]; life behind closed doors , in a small town  and a troubled land . Settings include Finland , Mallorca , Algeria , New England [6, 13], Scotland , Switzerland , Cyprus and Armenia  and London in various eras: WW2 , the Sixties , the future. In the early months of 2015 I’ll be featuring some of my personal favourites (along with other excellent titles I couldn’t include) here on the blog. I hope there’s something here you can’t wait to read. **COMPETITION RESULTS** at end of this post. In order of UK publication date (titles 1-3 out now). Text adapted from publicity materials. In a crumbling colonial mansion in Algiers, Lamia lives a lonely life communing with her ghosts by night, working as a paediatrician by day. Her family are dead but for her beloved brother Sofiane, who has become a harraga – one of those who risk their lives attempting to flee this troubled country for a better life elsewhere. 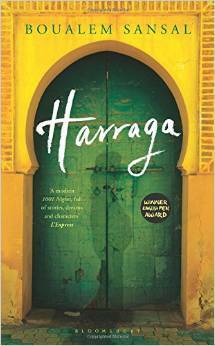 Lamia’s existence is turned upside-down when a sixteen-year-old stranger knocks on her door, sent by Sofiane. Pregnant, unmarried and dressed in garish finery, Chérifa is talkative, curiously innocent and absolutely fearless. Lamia struggles to protect her against a world where a woman who is not meek and subservient is an affront; where an unmarried girl who is pregnant can be killed to spare her family’s honour. Summer, 1962. Twenty-year-old Vivien Epstein, a Jewish hairdresser from Manchester, arrives in London following the death of her father, looking for Jack Fox, with whom she had a brief but intense love affair. But the only address she has leads to a dead end. When Viv gets a job at Oscar’s hair salon in Soho she is swept into the colourful world of the sixties – the music and the fashions, the coffee bars and clubs. Her relentless search for Jack leads her into the fight against resurgent fascism in East London, where members of the Jewish community are taking to the streets in and around Ridley Road. When Vivien finally spots Jack, her joy is short-lived when she discovers his secret. When Noel Bostock – aged ten, no family – is evacuated from London to escape the Blitz, he ends up living in St Albans with Vera Sedge – thirty-six and drowning in debts and dependents. Noel’s mourning his godmother, Mattie, a former suffragette. Brought up to share her disdain for authority and eclectic approach to education, he has little in common with other children and even less with Vee, who hurtles impulsively from one self-made crisis to the next. The war’s thrown up new opportunities for making money but what Vee needs (and has never had) is a cool head and a plan. On her own, she’s a disaster. With Noel, she’s a team. On the surface, the Paul family are living the liberal, middle-class Scandinavian dream. Max Paul is a renowned sociologist and his wife Katriina has a well-paid job in the public sector. They live in an airy apartment in the centre of Helsinki. But look closer and the cracks start to show. As he approaches his sixtieth birthday, the certainties of Max’s life begin to dissolve. He hasn’t produced any work of note for decades. His wife no longer loves him. His grown-up daughters – one in London, one in Helsinki – have problems of their own. So when a former student turned journalist shows up and offers him a seductive lifeline, Max starts down a dangerous path from which he may never find a way back. Set on the Spanish island of Mallorca, this is a double love story told in reverse. Opening in 2005 with a dramatic event that seems to seal the mystery of two lives, the story moves back, unravelling over sixty years amid the olive groves and bars, the boats and poolside parties, the lives and relationships of two intertwined families within an expat community of endearing and flawed characters. As The Rocks slips back in time, shedding light on the changing morals and attitudes across the decades, the shocking incident that marked and altered these lives forever is ultimately revealed. When his flight is delayed, wealthy businessman Ted Severson gets talking to a woman in a bar at Heathrow. He sees no harm in confessing his secrets to this beautiful stranger over cocktails but by the time they land in Boston, a murderous plan has been conceived. Were they both being serious? Will they actually go through with it and, if so, what are the chances of getting away with it? Meanwhile, Ted’s wife Miranda is busy site managing the construction of their dream home on the Maine coastline. Miranda has her own agenda and vision of the life she wants for herself. How far will she go to protect it? Edinburgh, 1888. A violinist is murdered in his home. The dead virtuoso’s maid swears she heard three musicians playing in the night. But with only one body in the locked practice room – and no way in or out – the case makes no sense. Fearing a national panic over another Ripper, Scotland Yard sends Inspector Ian Frey to investigate under the cover of a fake department specializing in the occult. However, Frey’s new boss, Detective ‘Nine-Nails’ McGray, actually believes in such supernatural nonsense. It is McGray’s tragic past which has driven him to superstition but even Frey must admit that this case seems beyond reason. And once someone loses all reason, who knows what they will lose next? Welcome to London but not as you know it. Oxford Street burned for three weeks. The British Museum is occupied by ragtag survivors. The Regent’s Park camps have been bombed. The Nazareth Act has come into force. If you can’t produce your identity card, you don’t exist. Lalla, sixteen, has grown up sheltered from the new reality by her visionary father, Michael Paul. But now the chaos has reached their doorstep. Michael has promised to save them. His escape route is a ship big enough to save five hundred people. But only the worthy will be chosen. Once on board, as day follows identical day, Lalla’s unease grows. Where are they going? What is the price of salvation? 1976: Peggy Hillcoat is eight. She spends her summer camping with her father, playing her beloved record of The Railway Children and listening to her mother’s grand piano, but her pretty life is about to change. Her survivalist father James, who has been stockpiling provisions for the end which is surely coming soon, takes her from London to a cabin in a remote European forest. But it’s not the holiday he promised – when they get there he tells Peggy the rest of the world has disappeared. Her life is reduced to a piano which makes music but no sound, a forest where all that grows is a means of survival and a tiny wooden hut that is Everything. She is not seen again for nine years. When her grandmother Mariam dies suddenly, journalist Melina inherits her journal and handwritten letters stashed in a wooden spice box, cryptic treasures written in Armenian. On a spring break in Cyprus, Melina meets Ara, a young Armenian man, who agrees to act as translator. In 1915, aged seven, Mariam was expelled from her home in Eastern Turkey and separated from her family, her life scarred by tragedy, exile and the loss of her first love. On a fact-finding trip across the island Melina discovers a bustling Armenian community and comes face to face with the great uncle she thought was dead, unearthing a family secret that will change her own life and lay the ghosts of her grandmother’s turbulent past to rest. Anna Benz lives in comfort and affluence with her husband and three young children in Dietlikon, a picture-perfect suburb of Zurich. An American expat, Anna has chosen this life far from home but despite its tranquility and order, inside she is falling apart. Unable to connect with her husband or his family, with the fellow expatriates who try to befriend her or even, increasingly, her own thoughts and emotions, Anna expresses herself in the only way that makes sense to her: by engaging in short-lived but intense affairs. But adultery has its price and when Anna finds herself crossing that moral line, she sets off a chain of events that will end in tragedy. 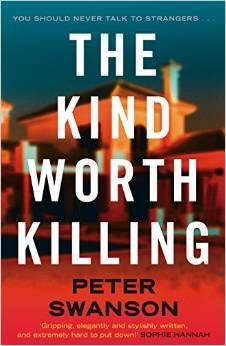 On a sweltering July day, three people are found dead in a dilapidated house in London’s elegant Primrose Hill. Reading the story in a newspaper as she prepares to leave the country, Marie Gillies has an unshakeable feeling that she is somehow to blame. But how did these three people come to live together, and how did they all die at once? The truth lies in a very different England, in the double life of Marie’s father Arthur, and in the secret world of the ladies of the house. A tragicomic story of hidden love, second chances and unlikely companionships. Seated at the very end of the north fork of Long Island, the small town of Orient ebbs and flows with the seasons. When the days start to lengthen, the first SUVs roll in, filled with beach towels, croquet sets and the summer crowds from nearby New York City. But on the last day of summer a troubled young drifter named Mills Chevern arrives in town as the guest of Paul Benchley, a successful city architect who has returned to spend time at his childhood home. Even in Paul’s company, the presence of an outsider seen as undesirable causes anxiety amongst the close-knit year-round community. Soon all hell breaks loose and as the town swarms with fear, Mills finds himself the chief suspect in a riddle of violent deaths, one he must solve before his own time runs out. I don’t work in the publishing industry – I run the Literary Sofa to share my love of books and writing with other people. If you like my selection, please share with your social networks, book group, etc. If you’d like to subscribe for free and get all my weekly posts, look for the ‘Sign me up’ button at the top of the sidebar and enter your email address. Winners will be contacted directly re their prizes. Many thanks to publishers for donating the prizes. I will now be taking a long break until mid-January – I’m off to Malaysia for the Christmas holidays for some sun, adventure and lots of reading. Have a happy festive season! I really do want to read Harraga BUT I will wait and get it in Paris…read Le Village de l’Allemand by him recently which I highly recommend. 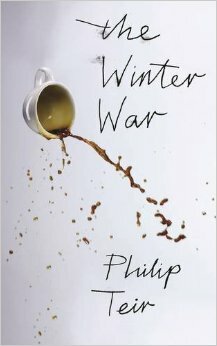 The other one I really want to read I’d The Winter War ….some one described him as Finlands answer to Jonathon Franzen . Quite an intriguing billing !! So many of these look tempting but I do like the look of The Ship. 2015 looking an expensive year. And there’s still a crate of books from 2014 to read before I can start. An interesting selection. 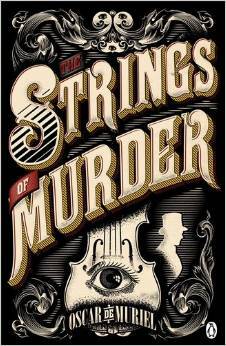 I would like to read The Strings of Murder – it sounds fascinating! Harraga for me. Sounds captivating. Have a great Christmas! I’m keen to get my hands on Our Endless Numbered Days by Claire Fuller, sounds intriguing. I have read The Ship, I think it’s going to be huge! What an intriguing selection! Well done for putting such a fascinating list together. 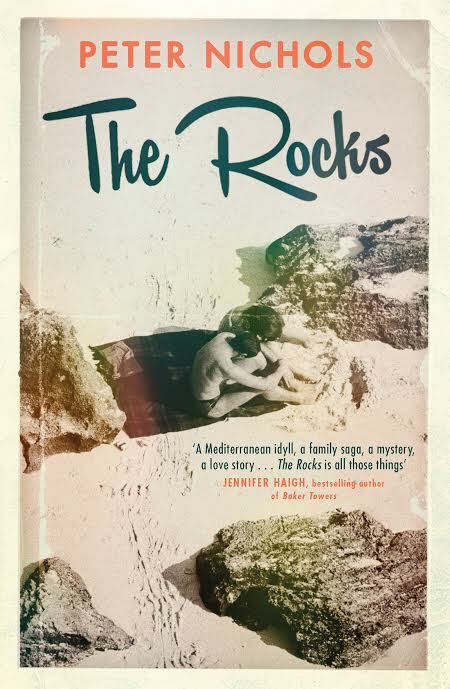 It’s difficult to choose just one – although Ridley Road was tempting, “The Rocks” is the one I would most like to read first. Have a wonderful trip! Wonderful picks, Isabel! I would be very happy reading any of them. Since I’m not eligible to win a book, I’m going to break the rules and pick three: The Strings of Murder, The Ship, and The Winter War. Great selection – many I’m looking forward to reading. 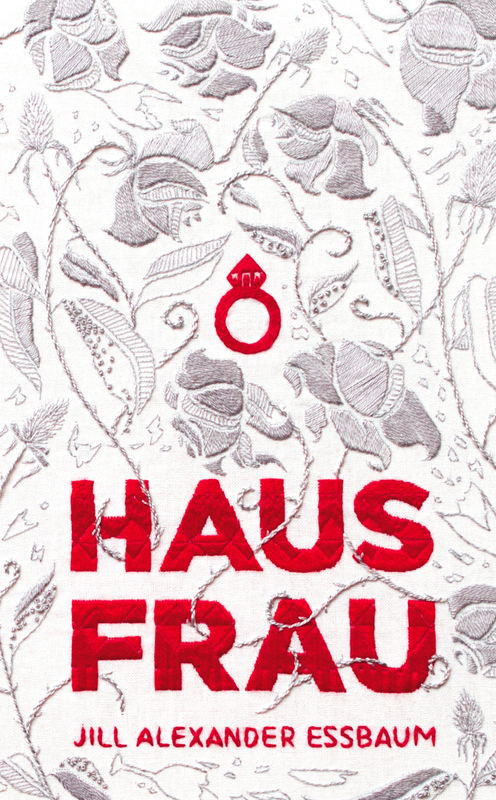 However, after having Claire Fuller on my blog a while ago talking about her book – this is the one I would choose. Some fabulous titles to look forward to. Bring on 2015! The one that I’d choose is The Ladies of The House. Lovely collection, I’m reading The Winter War at the moment and can certainly recommend it. And nice to see some familiar names here. Enjoy the sunshine! 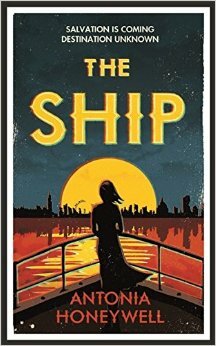 Really looking forward to reading The Ship and my pick after that would be The Ladies of the House, right up my Primrose Hill! Wow. What a fantastic selection, Isabel. I can’t wait for 2015. And fantastic to display such a wide and varied choice. I know your generous choice of The Dynamite Room in the 2014 Hot Picks this time last year really helped spread the word before it published, so I hope you have a similar effect on all these new, fresh and exciting novels coming out next year. 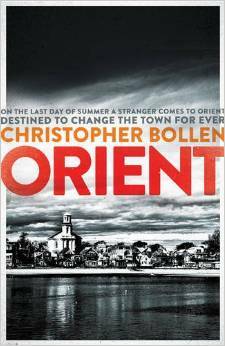 I’ve got my hands on The Ship and Orient already and I can’t wait to read them over Christmas. 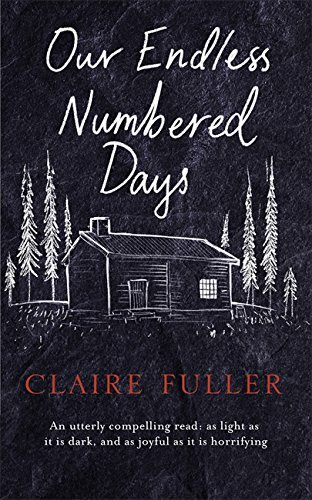 The one I’m most intrigued to get my hands on next though is Our Endless Numbered Days by Claire Fuller. Looks like it’s eerie, suspenseful and beautiful – right up my street! Have a fabulous trip and time away. Best wishes for 2015! What an exciting bunch of books! 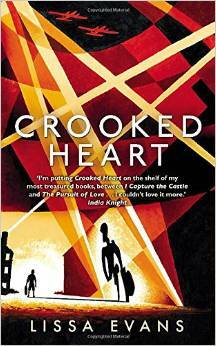 I love the sound of lots of them but have a real hankering to read Crooked Heart. What a very blooming difficult choice! But The Ship, by a whisker 🙂 Have a lovely holiday! I’m in the mood for an atmospheric read and a page turner. The two books which stand out for me are The Rocks, which sounds intriguing and Ridley Road, which is my choice, as it is set in the 60s and combines a love story against a fascinating subject. This is an incredible list to choose from. So many wonderful books. But for me, Ridley Road stands out. A piece of history that needs to be revealed – can’t wait to read it! A great selection. Can I have them all! If I’m forced to choose then Harraga. I would like to read quite a few of these but mostly Crooked Heart. Strings of murder sounds a lark. Have great hols and happy reading. 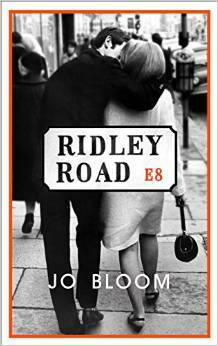 Ridley Road by Jo Bloom would be my number 1 choice though the entire list is tempting. But I love the 60s feel of this one. I’m looking forward to reading several of these – what a great list! I love the sound of The Rocks by Peter Nichols. The Spice Box Letters. Without a doubt. Spice Box Letters will keep you reading until you turn the final page. Lovely to see a list of many books that are new to me. 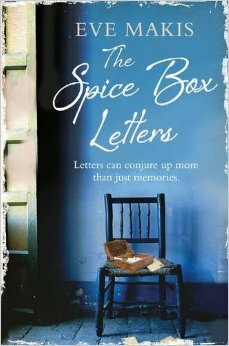 Would very much like to read Eve Makis’s book, The Spice Box Letters. As everyone else has commented , a very exciting selection! I’m going for The Spice Box Letters as it’s a topic I have never read about before and i’m intrigued by the description. When is it published?! Fantastic selection of books and so difficult to choose just one! But, it has to be The Spice Box. I love the idea of finding a stack of mysterious letters and embarking on a journey of self-discovery. The Spice Box Letters by Eve Makis. As an Armenian Cypriot woman myself, I am highly anticipating to read this novel. My grandmother used to live with my family and she too was exiled from her homeland at the age of 8. I grew up with her stories. To me, it is an honor to see a non-Armenian author bring to life an issue that is easily forgotten and swept under the rug. Though i am an avid book reader, i believe this book will touch me more than any other. The Spicebox of Letters would be the one for me! The Spice Box letters will be my pick. I would love to read every single book on this list, especially Claire Fuller’s and Antonia Honeywell’s, but if I chose one, it would be Ridley Road for its sixties’ setting and stunning cover. What a wonderful selection. 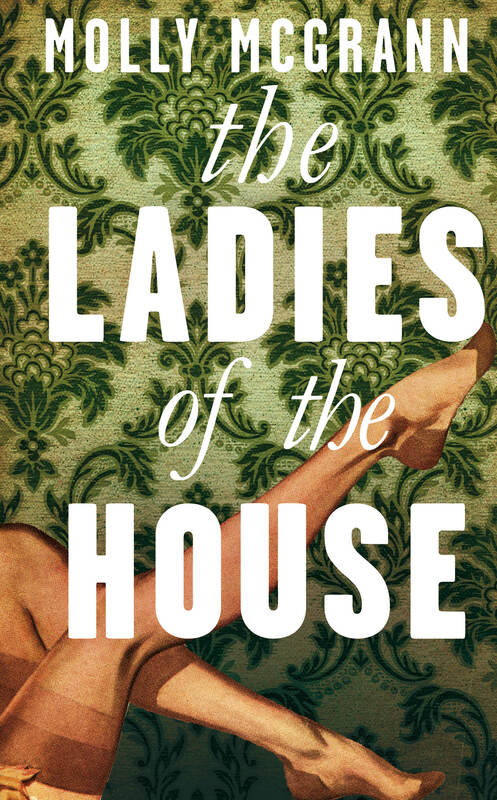 I would choose The Ladies of the House! So many desirables here. Thanks for reading and listing them. I’d choose Crooked Heart – have a feeling Noel would be a fine ‘hero’! I’d love to read The Spice Box Letters – I’ve really enjoyed Eve Makis’ other books. Such a brilliant selection of books, but Our Endless Numbered Days sounds very intriguing.